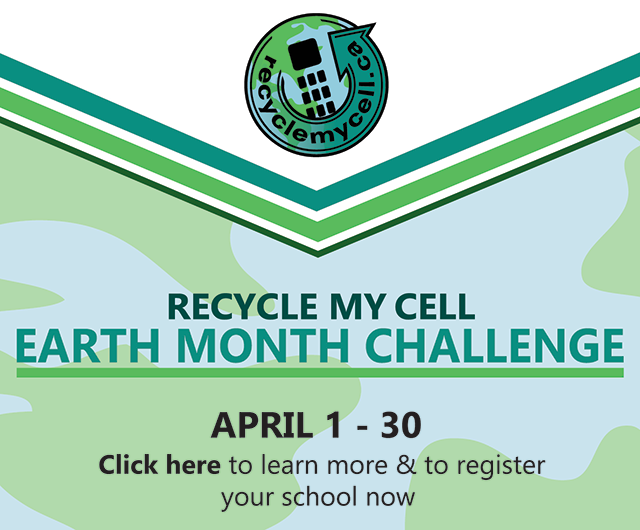 UPDATE – March 5, 2015 – Recycle My Cell is pleased to announce that there are two winning schools in Prince Edward Island in the 2014 Recycle My Cell Student Challenge. Congratulations to both Birchwood Intermediate School and École Évangéline! OTTAWA – March 4, 2015 – The results are in and Canadian students have once again demonstrated their commitment to the responsible management of e-waste. Recycle My Cell, Canada’s recycling program for mobile devices and accessories, announced today the winners of the fifth annual Recycle My Cell Student Challenge. In collaboration with the 2014 Waste Reduction Week in Canada, the Challenge saw students from kindergarten to post-secondary collecting as many old wireless devices as possible, including cell phones, smartphones, pagers, accessories and cell phone batteries. More than 130 schools from across the country participated in the 2014 edition of the Challenge, which was held from October 20 to November 21. The schools collected more than 5,200 wireless devices along with 262 kilograms of wireless accessories and batteries. The school that collected the most wireless devices in each participating province and territory, based on student population, will receive a $500 donation to support the school’s green initiatives.